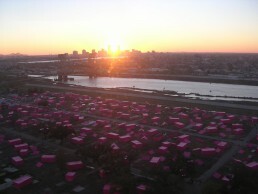 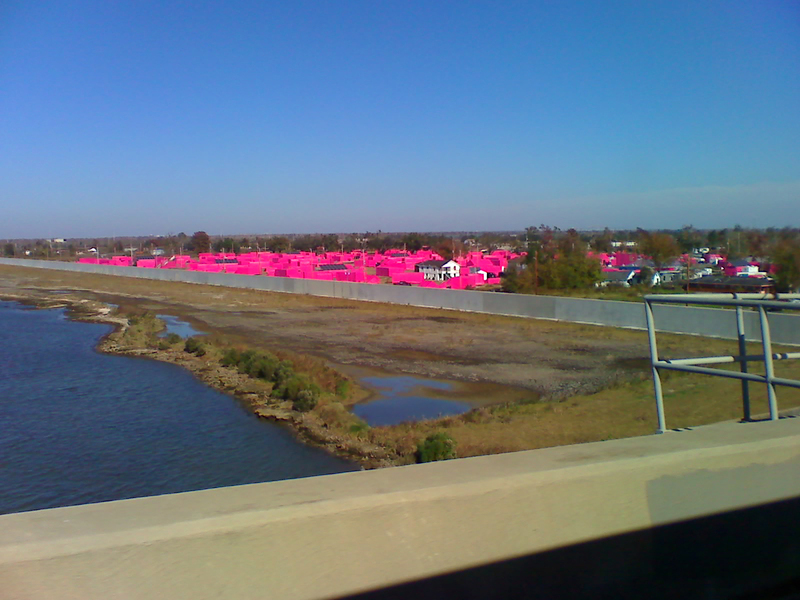 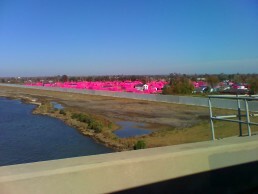 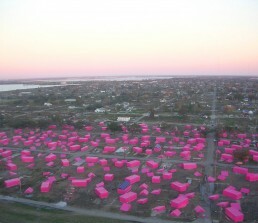 While filming on set in New Orleans, Brad Pitt, fascinated with the sharp color contrast between a pink CGI set and its lush green surroundings, identified the visual potency of assembling pink houses as a metaphor. 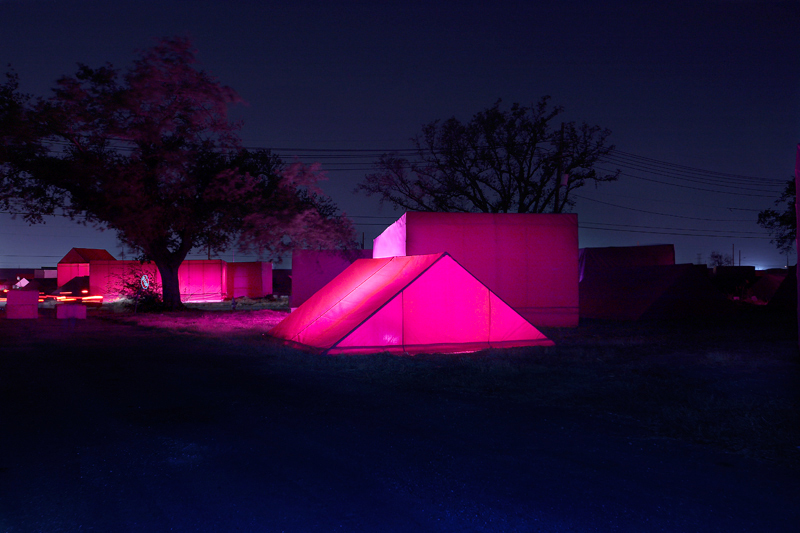 The idea was born to merge film and architecture into an installation that would focus immediate global attention onto a pervasive local issue. 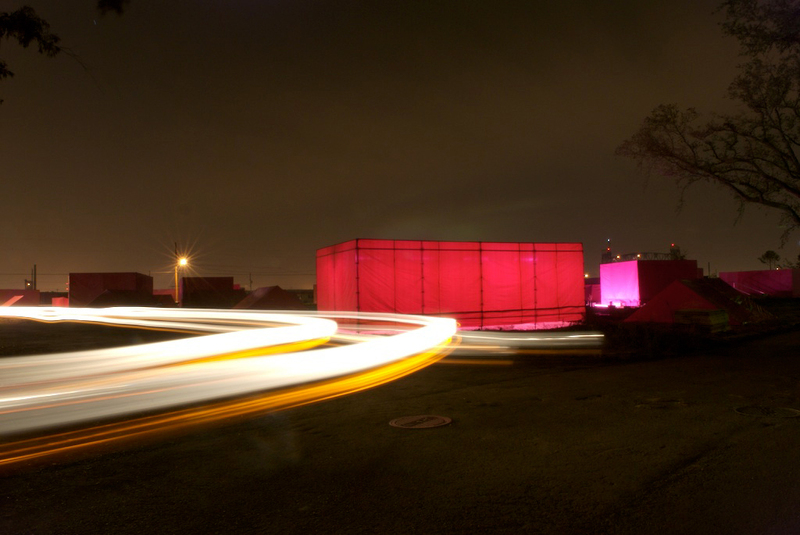 He invited Graft to help develop the project together using filmic concepts to drive the narrative of the installation, framing the architectural development. 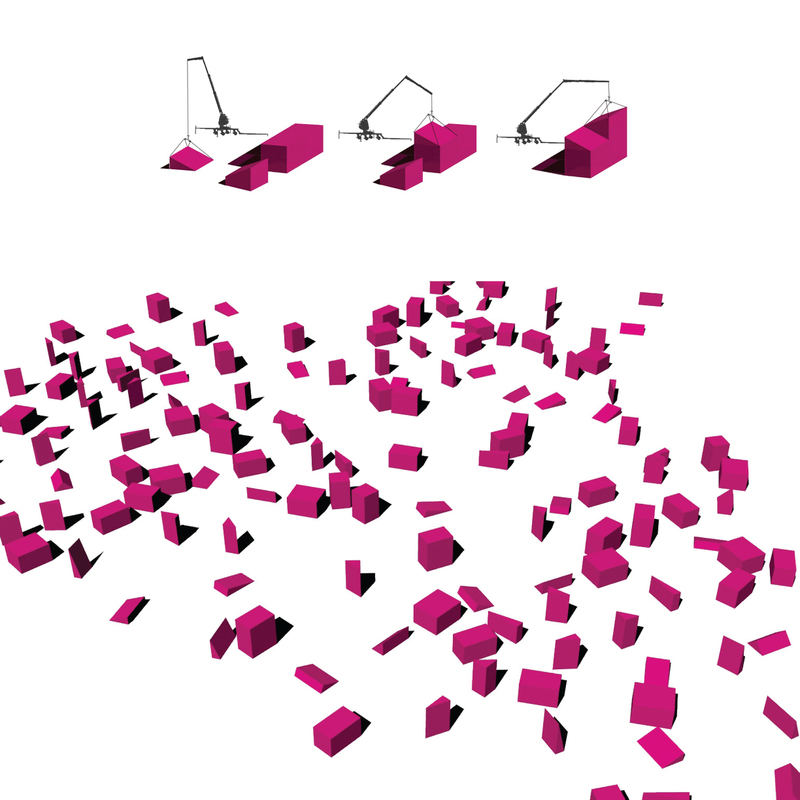 The scenes within the assembly create emotive and informative storyboards containing specific perspectives rich with history and memorialization. 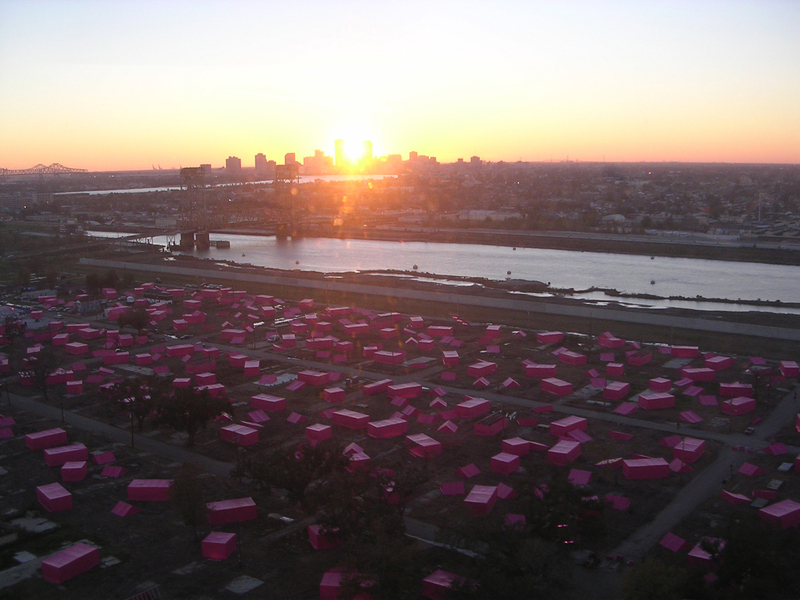 Raised observation decks provide sweeping overviews exposing the enormous scale of the installation: 150 houses on fourteen blocks within the Lower Ninth Ward. 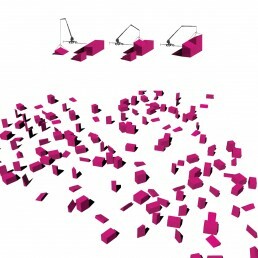 Much like a tangram puzzle, the components of each house lay haphazard at the installation’s commencement. 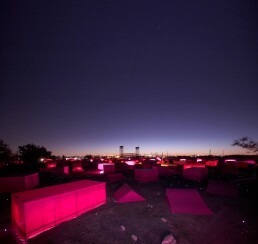 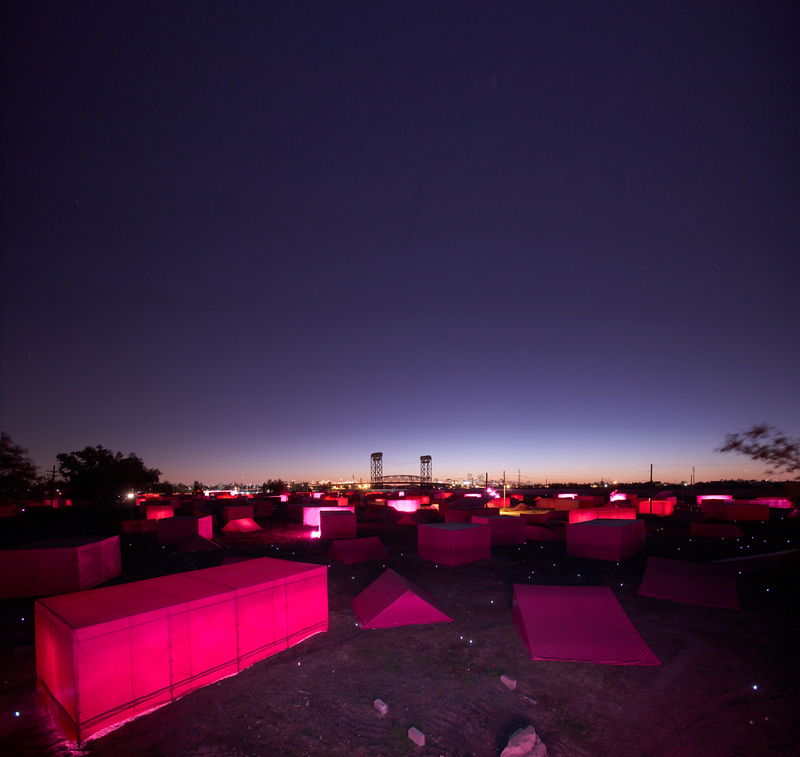 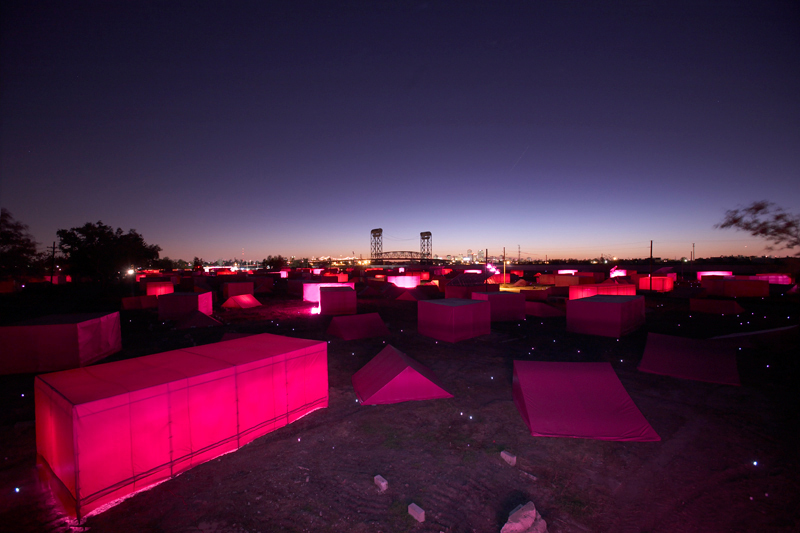 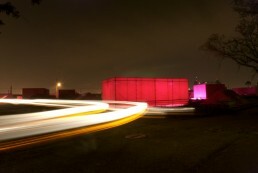 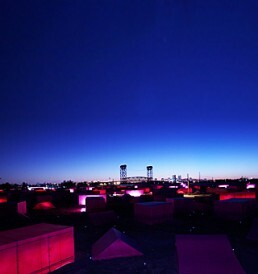 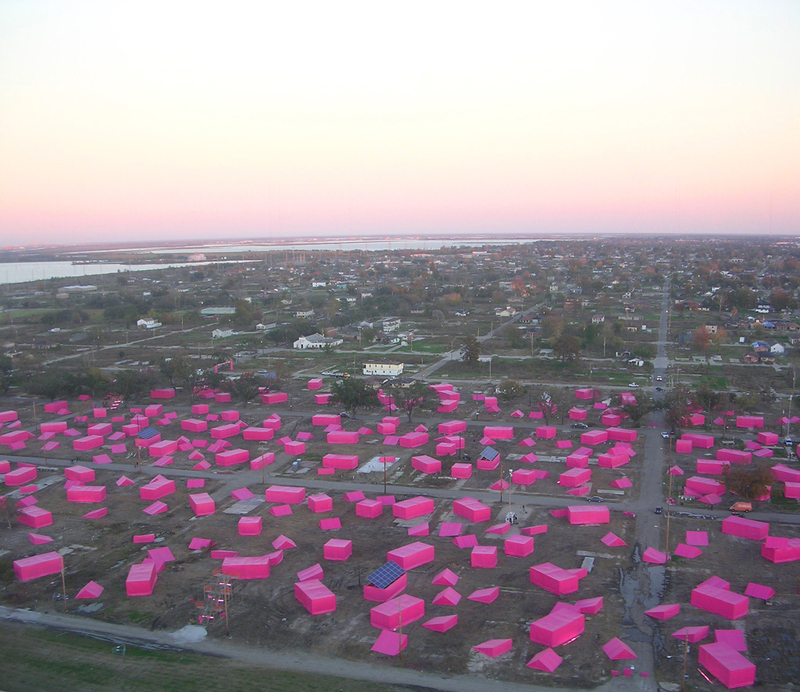 It is only over time and through monetary donations that these pink placeholders become reassembled, registering the effects of a collective consciousness in real time, ultimately enabling the construction of 150 real homes.